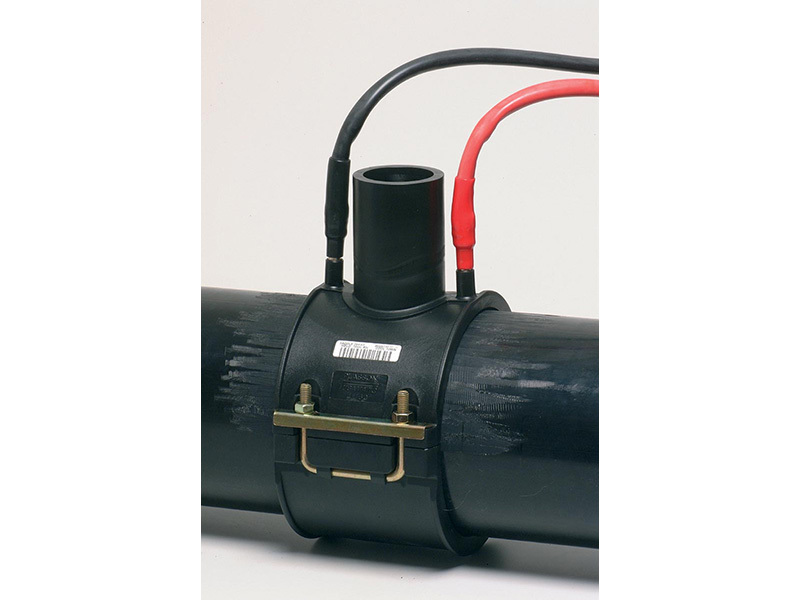 Branch-off saddles are designed for side outlets of a maximum diameter equaling half of the main pipe’s diameter. They are made from plastic or metal. Plastics saddles may be installed below ground. If you must install metal saddles below ground, make sure the ground is not corrosive for brass or stainless steel saddles. 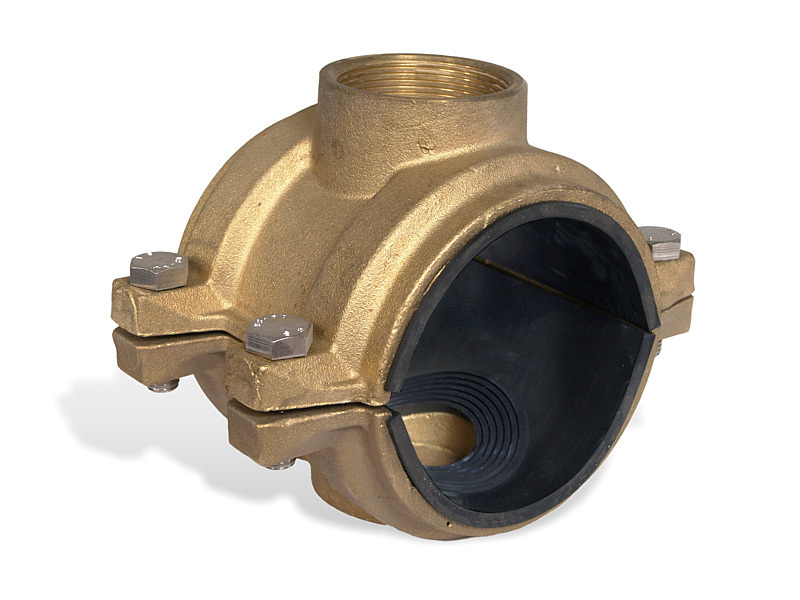 Do not connect brass fittings to steel or galvanized steel pipes or fittings. Pexgol pipes can be used with plastic saddles such as Plasson mechanical saddles or electrofusion saddles, with restrictions regarding the allowable temperature and pressure range, according to Pexgol’s recommendations for Pexgol pipe connections. Pexgol’s metal saddles are suitable for the full temperature and pressure ranges of Pexgol pipes. 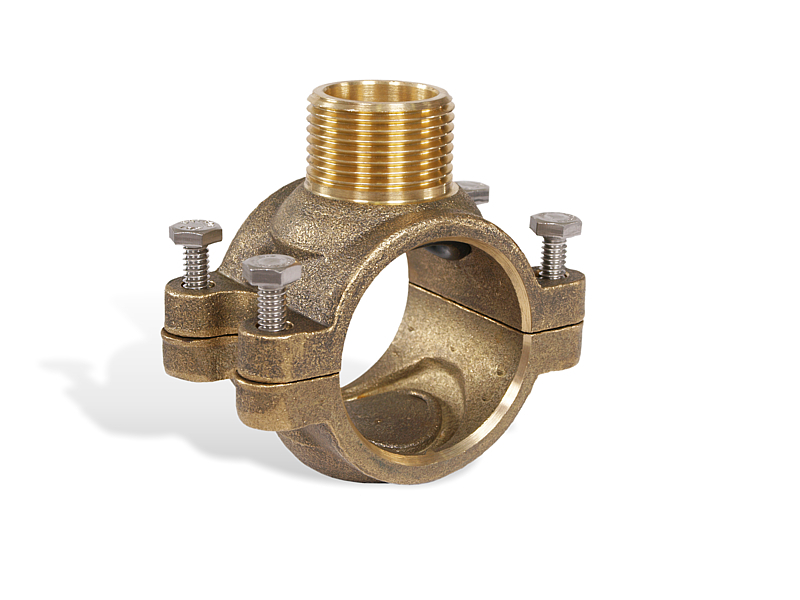 Brass saddles with threaded outlets are used for pipes from 32mm to 160mm diameter; see the next page for the installation of saddles. 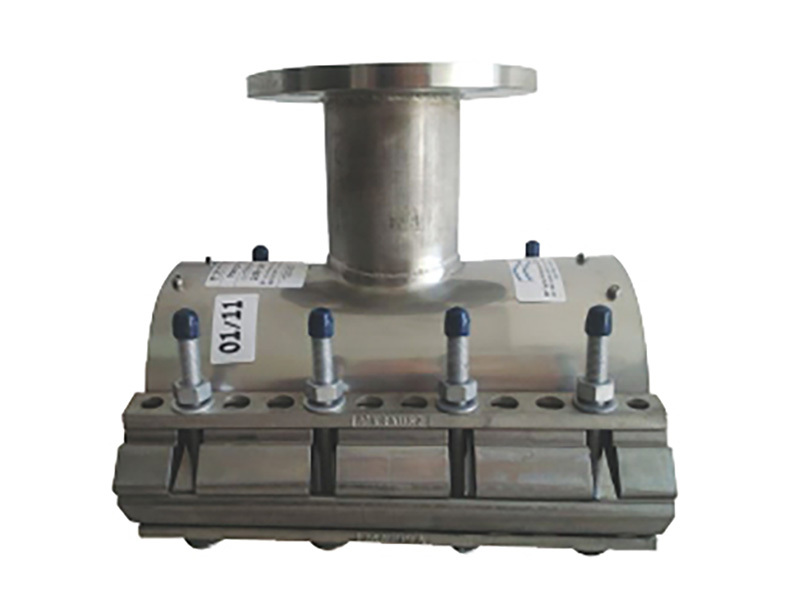 For diameters bigger than 110mm, stainless steel saddles with threaded or flanged outlets (according to standard requirements) are available. 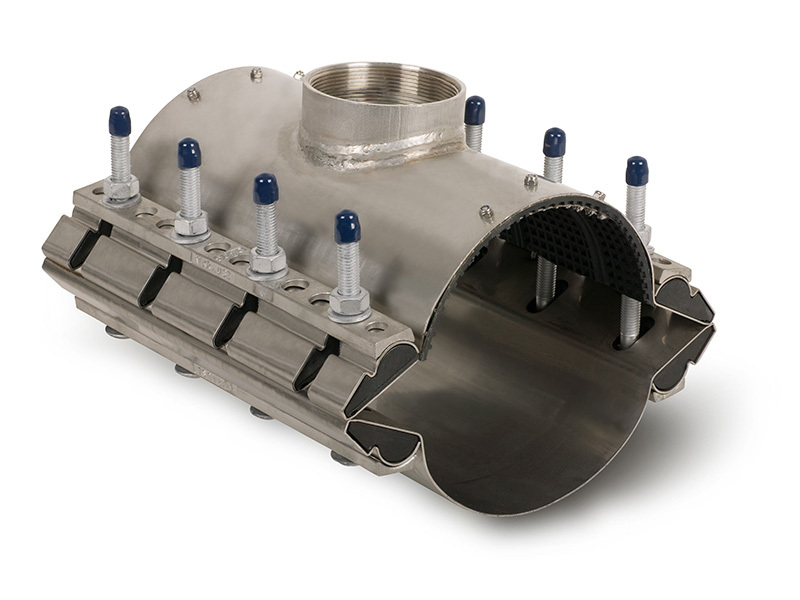 All metal saddles are suitable for pipes transporting drinking water. Saddles with internal rubber lining at the flange outlet are available for corrosive materials that might damage the stainless steel saddles. Golan supplies these saddles on special request.